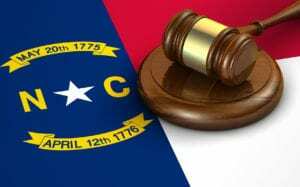 The law in Raleigh, North Carolina is taking a big step in cracking down on domestic violence cases. Under new legislation in Senate Bill 600, Britny’s Law will change the way domestic violence cases resulting in murder are charged. They’ll take a more critical look into premeditation and what it looks like in a domestic partner situation. Previously there has been difficulty in proving that a murder was premeditated when it occurred during an intimate argument between a couple. This’ll all change with Britny’s Law. The fact is, three women are killed every day by their domestic partners. While some of these are “crimes of passion,” others are well-planned and pre-conceived acts of violence. Let’s take a look at the case that brought about the legal change and what those changes will mean for these cases in court. Just a few years ago, the event took place that changed it all. One family’s crisis will hopefully provide justice in the future. In 2014, Britny Jordan Puryear was murdered by her live-in boyfriend and father of her five-month-old son. Her murderer’s name is Logan McLean. In the trial that followed, McLean considered his advice for getting arrested and took a common action for perpetrators of domestic violence homicides. He accepted a plea bargain which allowed him to be charged with second-degree murder — instead of the harsher first-degree murder sentencing he possibly deserved. The charges claim that his actions were not premeditated even though Britny’s autopsy and interviews with her closest relationships indicated a pattern of domestic abuse leading up to the event. Witnesses came forward stating she had been choked and pushed down the stairs while pregnant. McLean’s act of violence was not out of character or isolated. Domestic violence is considered a pattern of coercion in which one person tries to control another person’s actions. Britny’s Law seeks to use this past pattern of abuse as evidence of premeditation in domestic violence cases brought to court. The legislation clearly states that if you kill your domestic partner and there have been recurring incidents of abuse up until that point, you will be charged for first-degree murder. This law will make it easier for courts to convince jurors that these homicides were not “crimes of passion” or “an argument went wrong”. Instead, it allows prosecutors to convict repeat abusers of a planned murder. These cases are very serious and are now getting a more critical eye when brought to the law’s attention. Seeking legal financial and bond assistance may be necessary if you’re part of such a case. At Kat Bail Bonds, we are here to provide you with the help necessary 24 hours a day. If you or a loved one requires reliable and compassionate assistance with your bail bonds, contact us today. During these times, we can provide an invaluable service in the most efficient way possible to help alleviate some of your stress.